After two brutal Polar Vortex Winters and late Springs, this year’s early Spring is well deserved. And rather than fall into the same early season routine, Anthony and I have been very happy to pursue water and fish that we normally ignore this time of year. 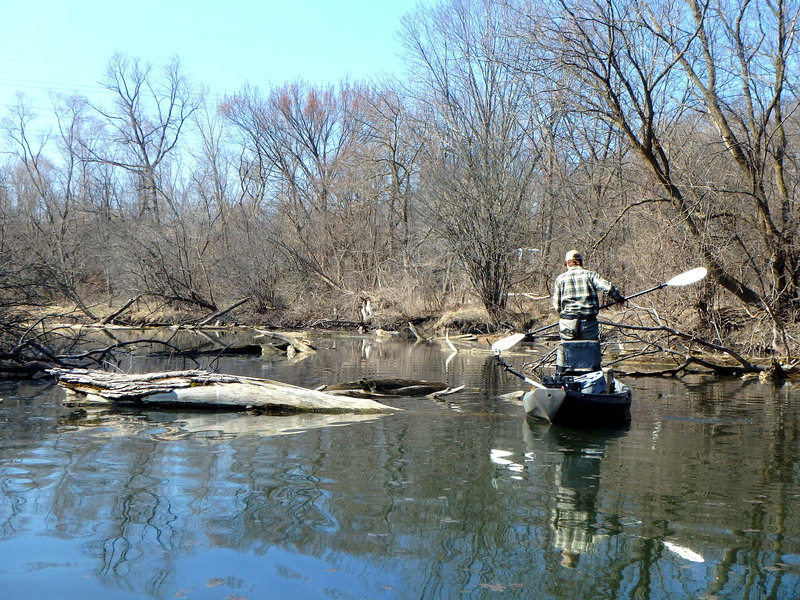 Most of this year’s early fishing has revolved around exploring stretches of local rivers that may harbor some early season Pike potential. I knew this would be a very different Spring once Anthony pounded some fish on a local Farm Pond at the beginning of March. 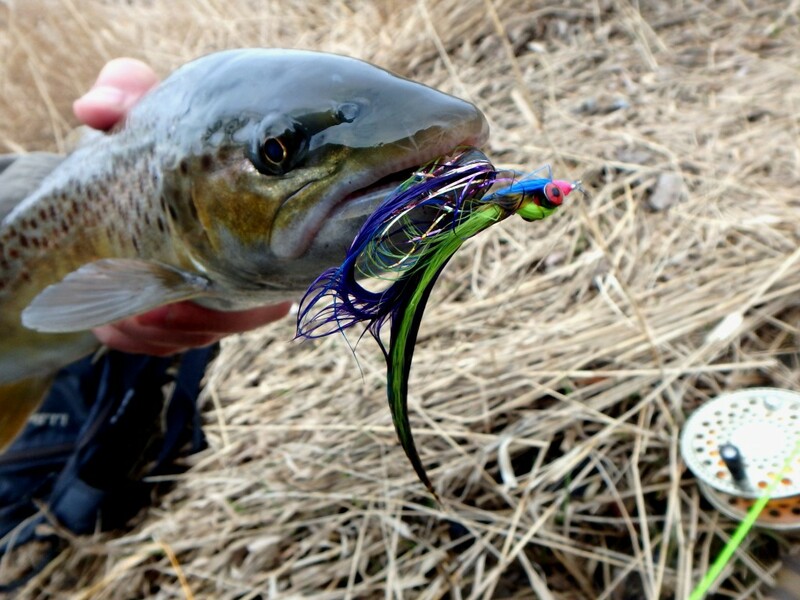 Normally the Driftless season opener is tops on the list when March rolls around but with the new regs we’ve been able to scratch that itch since January, and by the first day of Spring we’ve usually developed a severe case of Chronic Chrome Chasers Disease, but that illness has gone into remission. Instead, curiosity, exploring hunches, and breaking routine has been driving how we spend our time. Also, who doesn’t love to tie large predator flies just to see them swim and get eaten? You can only swing the same old runs and dredge the deep pools so many times before you have to mix it up. Not that we haven’t made any visits to our local SW Lake MI Tribs to chase Lake Run Trout, we have and they’ve been productive, but even then we were fishing new water. 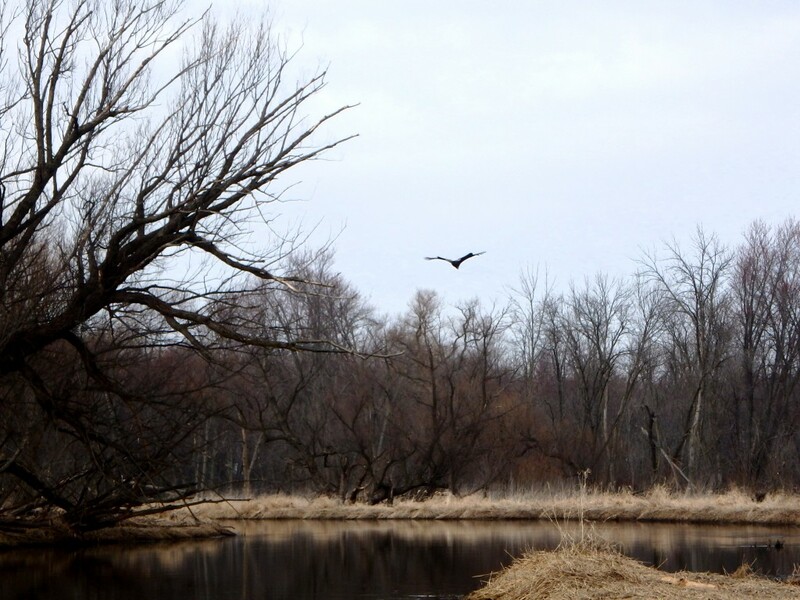 We’ve been out in tough early season conditions, usually morning, searching for Pike in high cold backwaters. 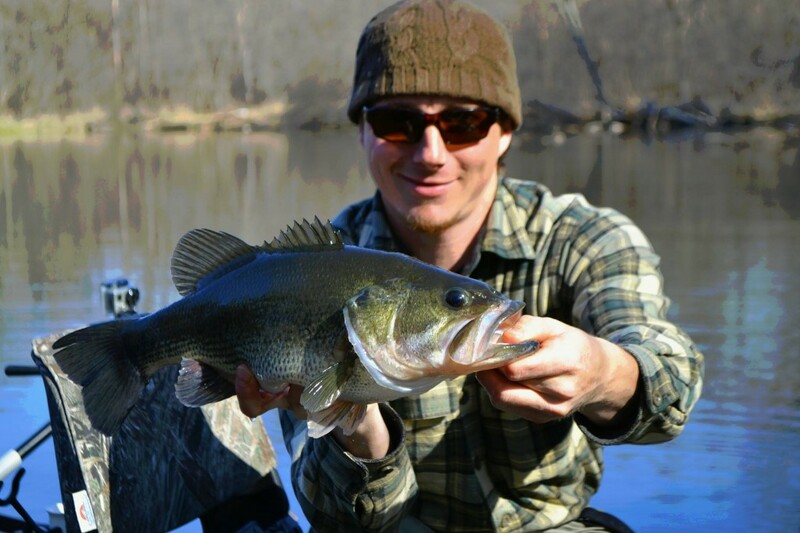 Anthony landed one nice fish on each float and that’s enough to call it productive to me this time of year. 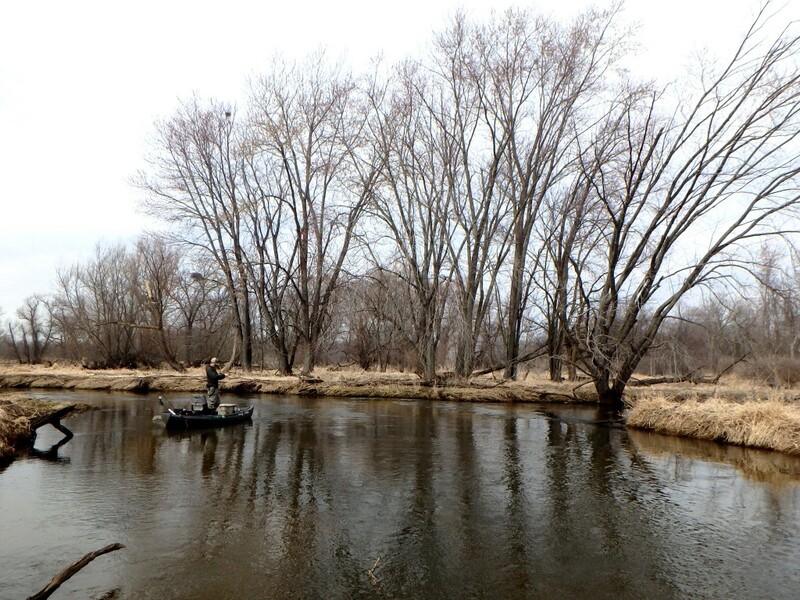 Not only that, we’ve seen some choice habitat for Smallies, LM, and Pike that will likely be productive in the future. 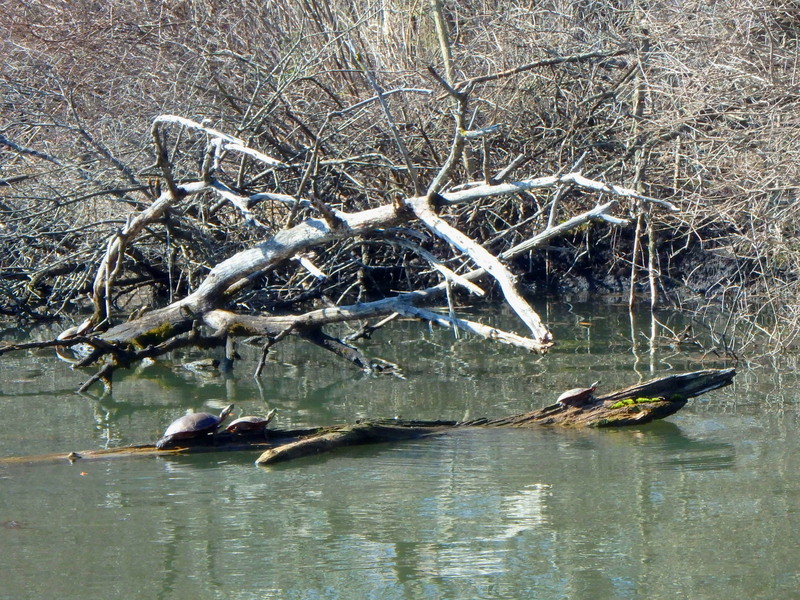 Local waters are definitely starting to seem more appealing this year,and I think I will focus a bit more on them. 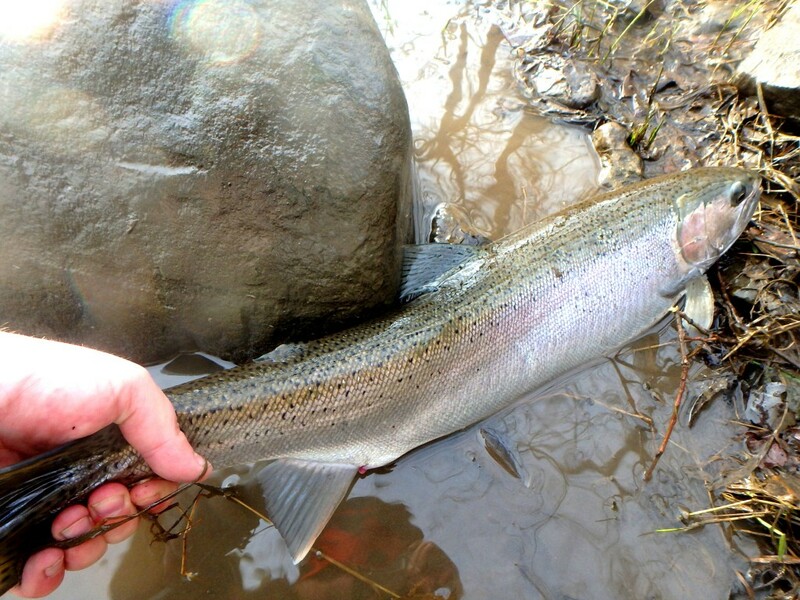 I think part of the reason we’ve been able to bottle chasing Steelhead as much as we normally do this time of year is because we have a great outdoors bachelor party planned on the PM coming up for Anthony. 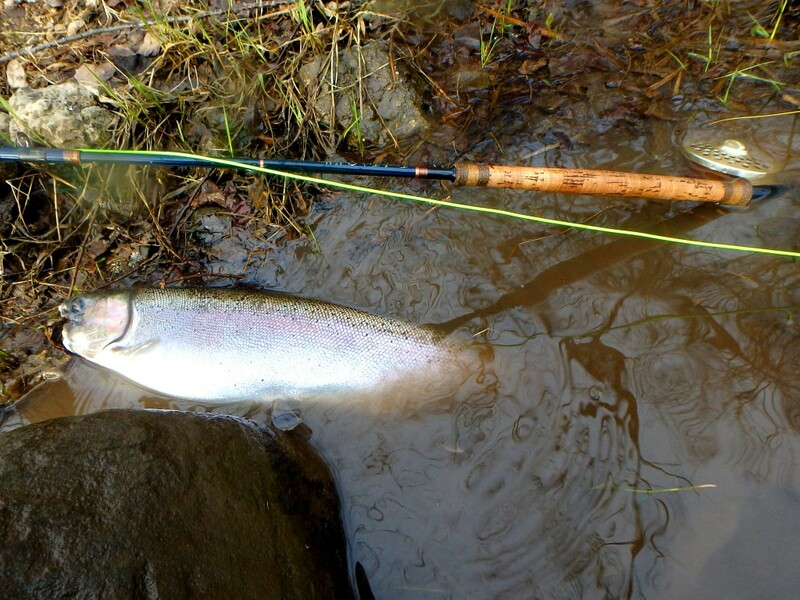 It will surely be a blast and I can’t think of a better way to spend it than chasing PM trout & Steelhead with a group of good guys. I hope we have lots to share after it’s all said and done.